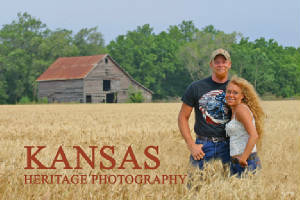 Wakarusa, Kansas is located in the beautiful Wakarusa Valley of northeastern Kansas. The town of Wakarusa is in the southern part of Shawnee County, and Wakarusa is about seven miles south of the Topeka city limits. unwanted visitors such as this opossum that tried to steal their supper! 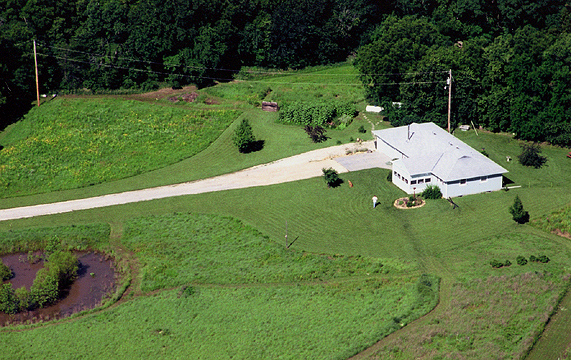 The Larry & Suzanne Miller residence (above) located just to the northeast of Wakarusa as photographed from a helicopter during the summer of 2001. 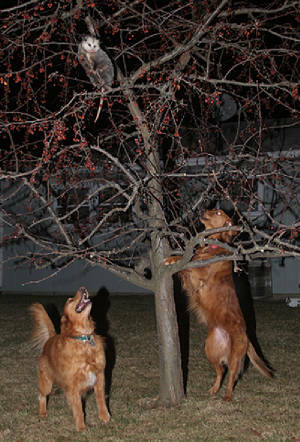 Suzanne is playing in the yard with one of two Golden Retrievers that live with the Miller's. Their names are Halley and Comet. The photo below was taken during the summer of 2004. 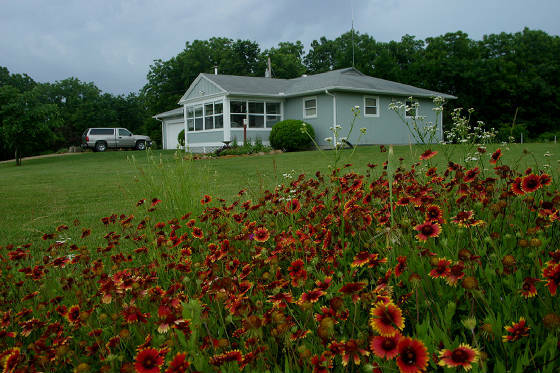 Click here to go to a list of links to photo pages with photos from the Wakarusa, Kansas area as well as information relating to the area. This page will probably always be under construction, so check back often. Click here to go to www.KsHeritge.com. There are many interesting educational links and photographs that can be accessed from the www.KsHeritage.com pages.